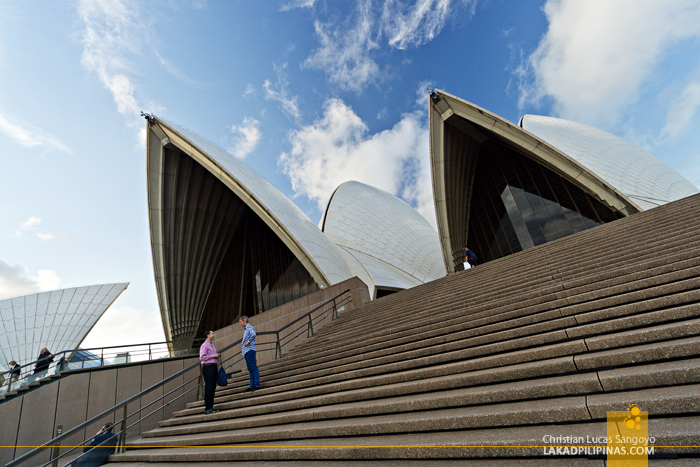 Alone, I ascended the steps leading up to Australia’s iconic Sydney Opera House. My companions were nowhere to be found, probably still busy taking selfies along its grounds. 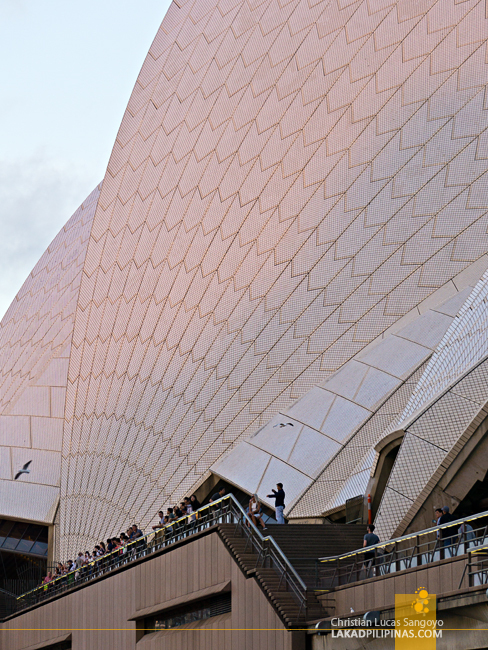 They seemed unfazed and underwhelmed by the opera’s beauty and wasn’t that keen on seeing it up close. But I was determined not only to see this architectural masterpiece up close, but also feel it against my bare hands. 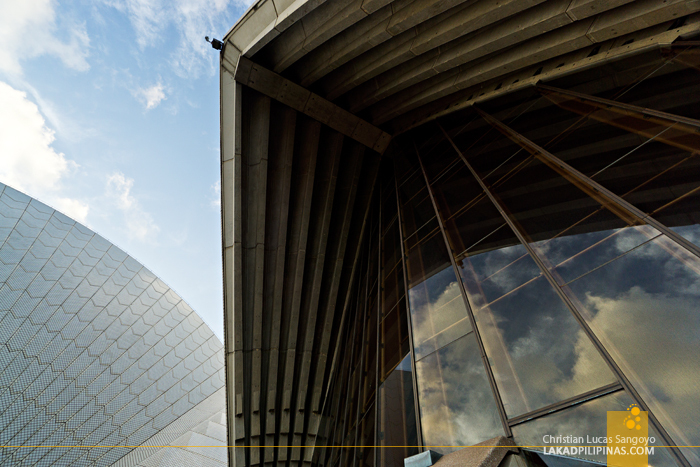 I graduated with an Architecture degree at the University of Santo Tomas, and the Sydney Opera House has been one of the most frequent examples we were ingrained with as to how designs shouldn’t just be about boxes. 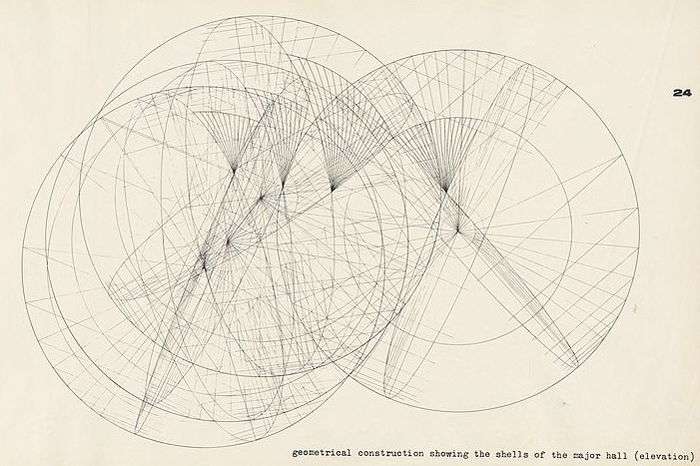 Breaking out of the box was the most important thing we were taught on our design subjects. Now, decades later, my hands swapping cameras and lenses for t-squares and pens, I’ve come full circle with two of my great passions. Traveling has brought me to many places, and this time, it brought me back to my college days as an architectural student. 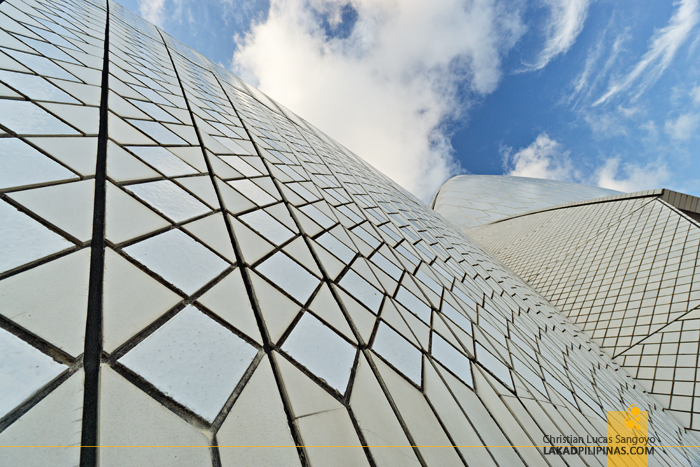 That afternoon saw me gazing at the Sydney Opera House in person—my hands touching its rough prefabricated structure, caressing its glazed roof tiles. 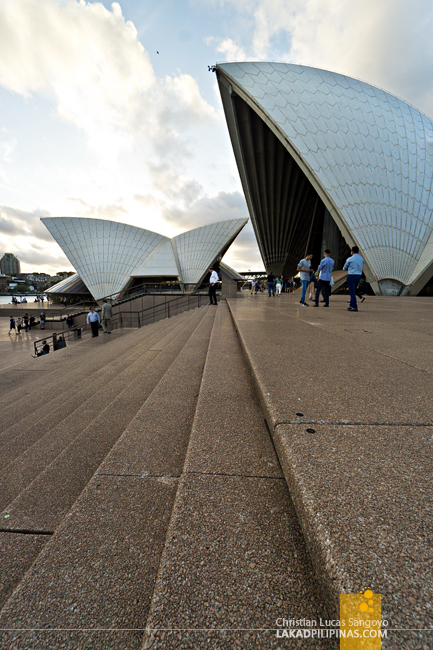 The Sydney Opera House was borne out of an international competition. 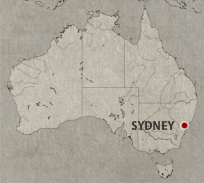 Sydney, seeing that the Sydney Town Hall was just not enough to cater to numerous shows and plays, decided to build a dedicated space for the performing arts. 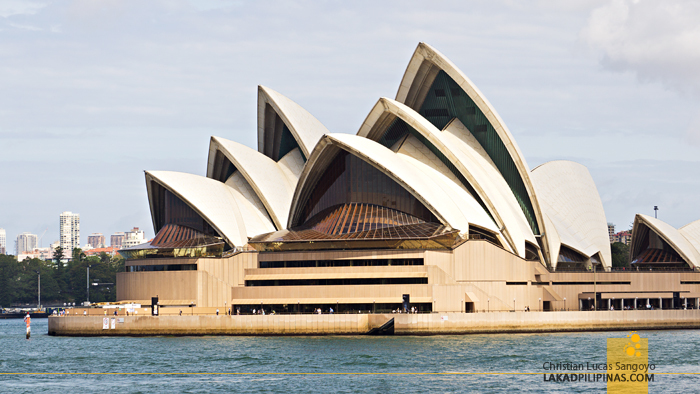 Out of more than two hundred entries from thirty two countries, a Danish architect, Jørn Utzon, bagged the winning design in 1957. 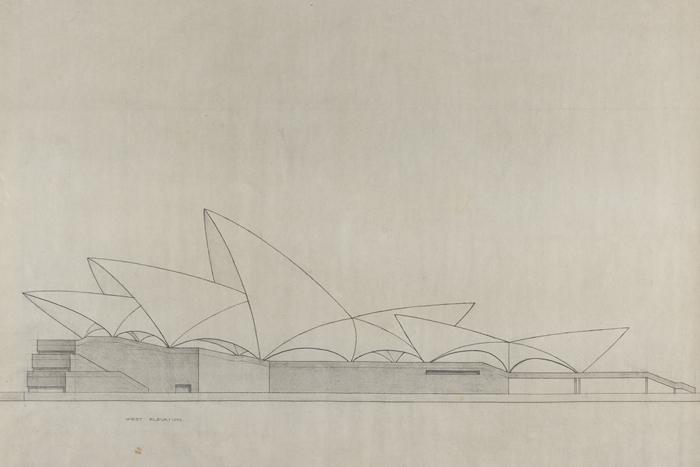 The expressionist design, a non-linear architectural succession of shells rising out of a massive podium, like waves breaking out of the sea or an orange section, broken in half by hand, indeed caught the jury’s eyes and imagination. 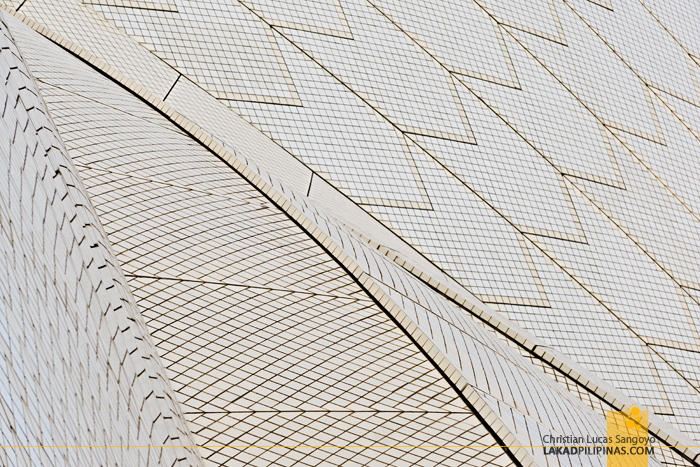 Construction proceeded two years later along Sydney’s Bennelong Point, but took fourteen tumultuous years to finish. The project was fraught with not a few problems, from engineering challenges on how to actually construct it, to differences between the architect and the city’s officials. 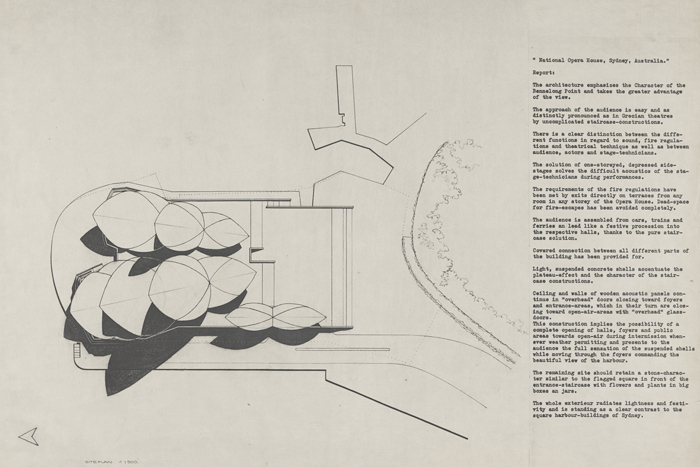 This eventually led to Jørn resigning and a local architectural maverick, Peter Hall, taking over. Eventually, the structure made it out of paper at a cost of a whopping 102 million US dollars—1,357 percent over the budget from its original projected cost of seven million. But, as we all know by now, it was definitely worth every cents put in it. 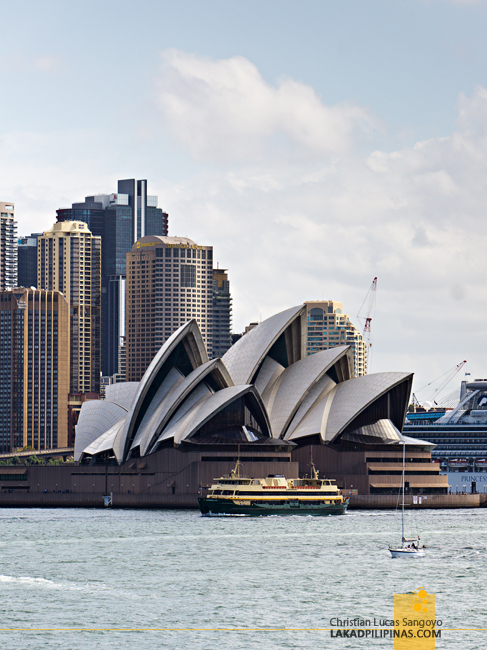 It’s one of the most recognizable structure around the globe, a designated UNESCO World Heritage Site, and an icon, not only of the city, but the whole continent of Australia as well. 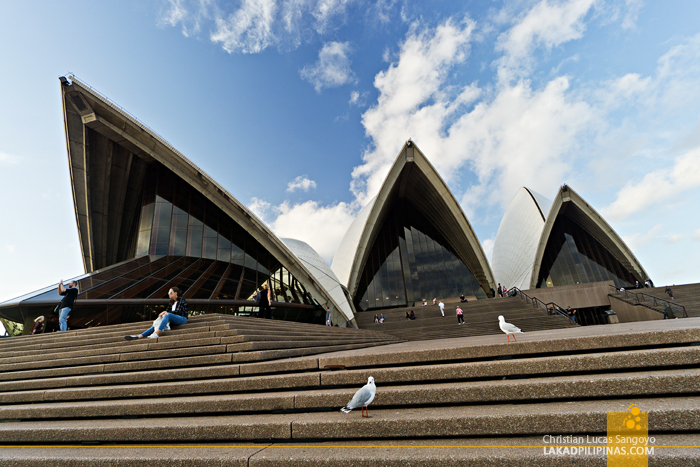 The Sydney Opera House, with a total capacity of 5,738 seats, is divided into multiple venues—the Concert Hall, the Joan Sutherland Theatre, the Playhouse, the Studio, and the Utzon Room. 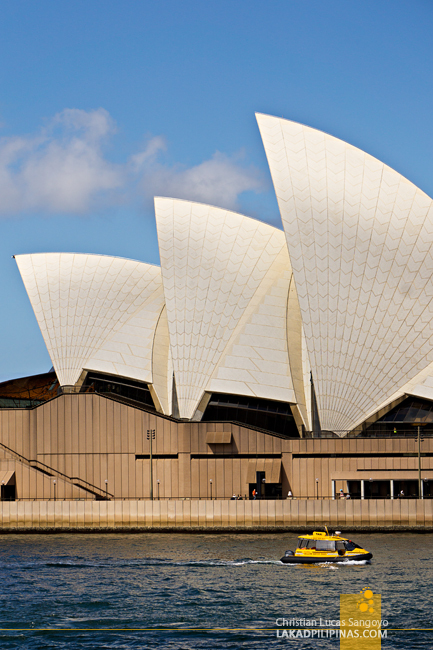 It houses Opera Australia, the Sydney Theatre Company, and the Sydney Symphony Orchestra. Tourists are actually allowed to go inside on guided tours, it was just too bad we weren’t able to book one during our visit. 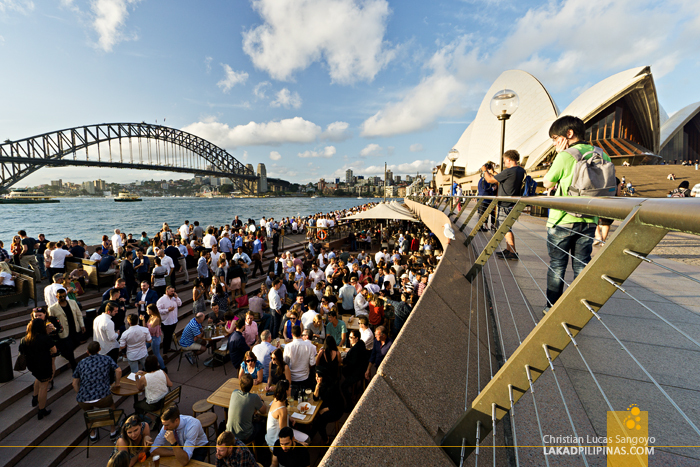 The sun was setting beneath the Harbour Bridge, firing up the waters in warm hues, when my companions caught up with me. They still seemed unfazed by the opera’s beauty. But as they say, different strokes for different folks. It was quite a magical afternoon for me, something right up there when I first set foot on the ancient steps of Cambodia’s Angkor Wat. It’s like meeting your heroes and shaking their hands, only this time, they’re made of smooth glass and graceful concrete.